Over the course of decades—after its initial plantings—the garden changed hands several times. In the 1950s, it was finally acquired by the Saria family; who still own it to this day. 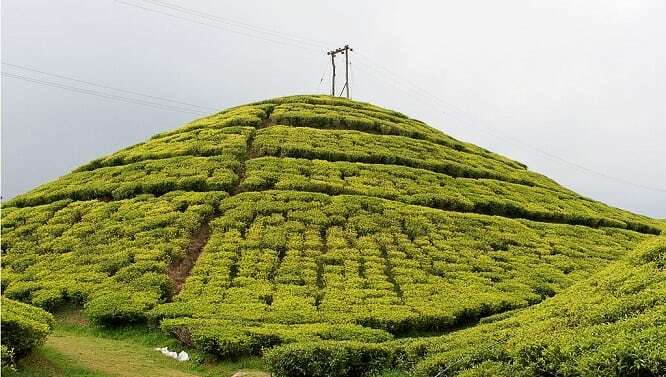 Of the 320 hectares that encompass the entire garden, only 172 are actually utilized for tea plantings. The majority of which are higher-yield clones; such as the aromatic and ubiquitous AV2 cultivar. However, a plot in the upper part of the garden still possesses some of the original tea bushes planted in the 1880s. To date, I hadn’t tried any teas from Gopaldhara proper. No, really, I checked my website archive and everything! On several occasions, I had the pleasure of sipping Darjeelings from one of the Sarias’ other gardens—the younger, more lowland Rohini estate. But for one reason or another, Gopaldhara never made it on my cup. Until I met this Nordic demi-god-looking Coloradan. 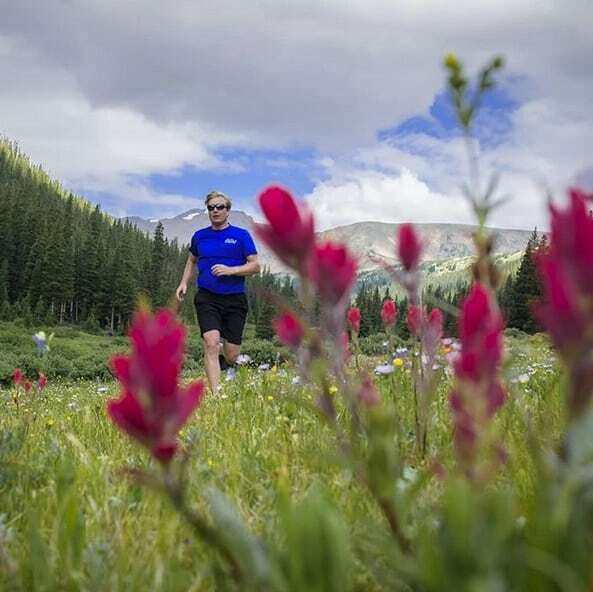 This is Peter Jones, and he is Boulder, Colorado. Look up Boulder in an atlas, and I’m pretty sure his picture is there somewhere. If not, a picture by him is somewhere. Okay, that’s a hyperbolic exaggeration, but he pretty much exemplifies that quirky li’l town. 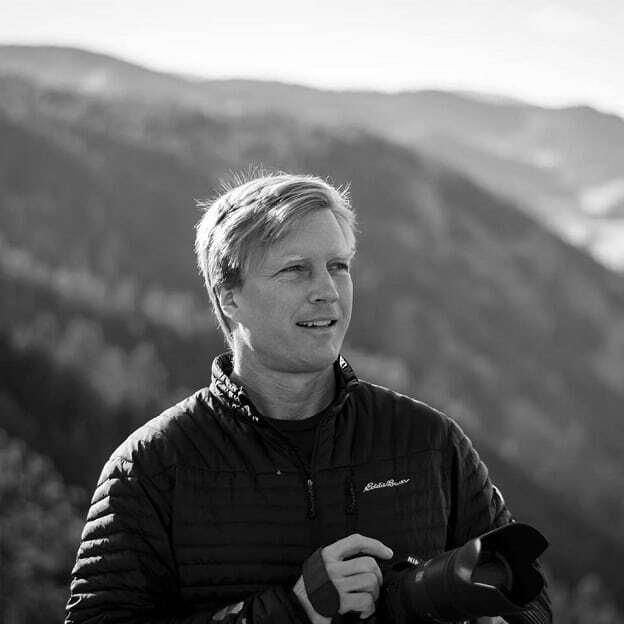 He’s an author, an educator, an avid outdoorsman, and he just happens to manage the longest-running café and bookstore in Boulder, CO.— Trident Booksellers & Café. 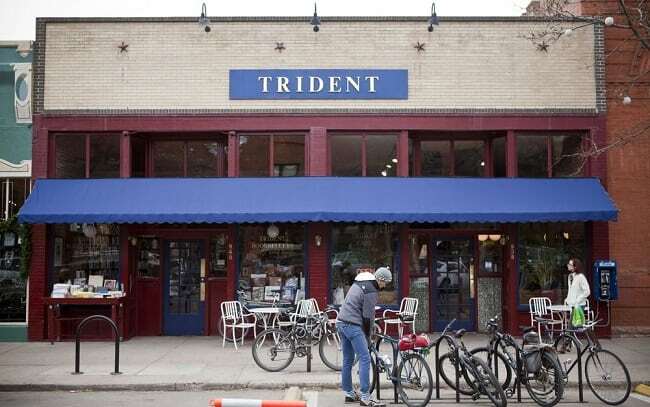 While known for mainly being, as mentioned above, a coffee joint with scores of books, another (unfortunately) lesser-known aspect is Trident’s tea menu. As in, it’s so vast, that they don’t even list it on the website! 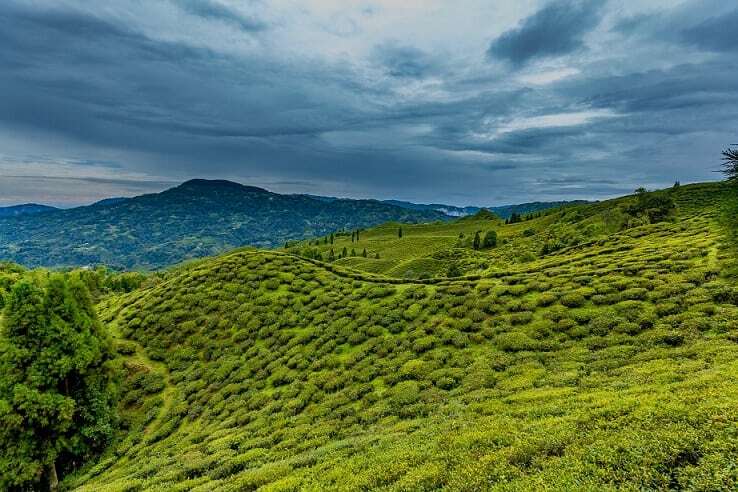 Trident prides itself on direct-sourcing from family-owned farms in China, Taiwan, India, and a few other tea growing regions off the beaten track. Which was how Peter ended up on my radar. Not the best first encounter there, Geoff. A couple of days later, I sent him an apology for my hasty, bathroom-related egress. Somehow, that conversation segued to talking about Trident Café’s direct-sourced teas. Then, completely without my prodding—honest!—he offered to send me a care package. Among the various teas were two Darjeelings from . . . you guessed it, Gopaldhara. One was a custom micro-lot specifically commissioned by Peter for Trident. Not only that, but it was from one of the earliest first flush plucks as well. The second one? Well, that requires a digression. I dived into it first based entirely on Peter’s description of it. 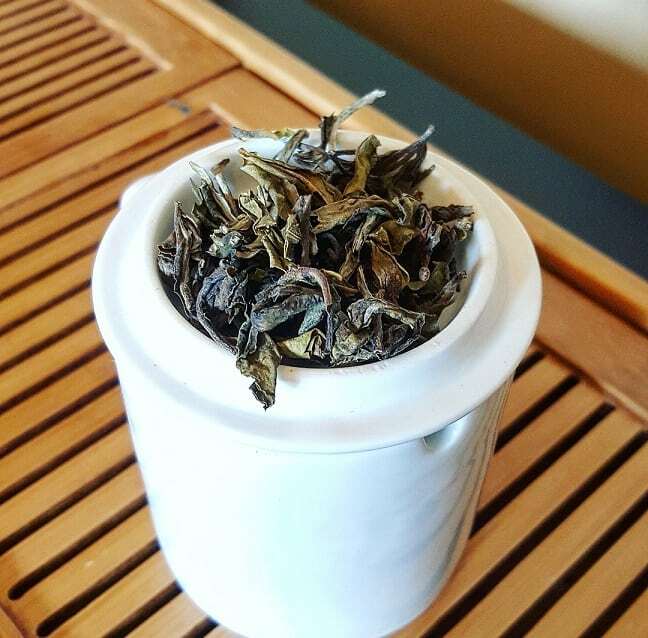 He likened it to a sheng puerh moacha. The reason? It was a first flush made entirely from the oldest trees in the garden, most over a century old. Any specific cultivar information regarding these early trees have been lost to time. All I could confirm was that most were propagated from seed. 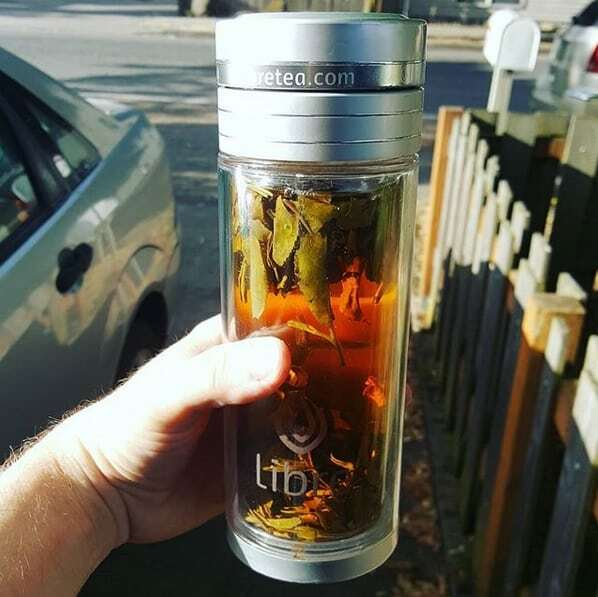 When I haphazardly shoved a bunch of leaves into my traveling tea tumbler, I paid no attention to delicacy or brewing etiquette. But the tea itself forgave me for my liberal steeping sensibilities. 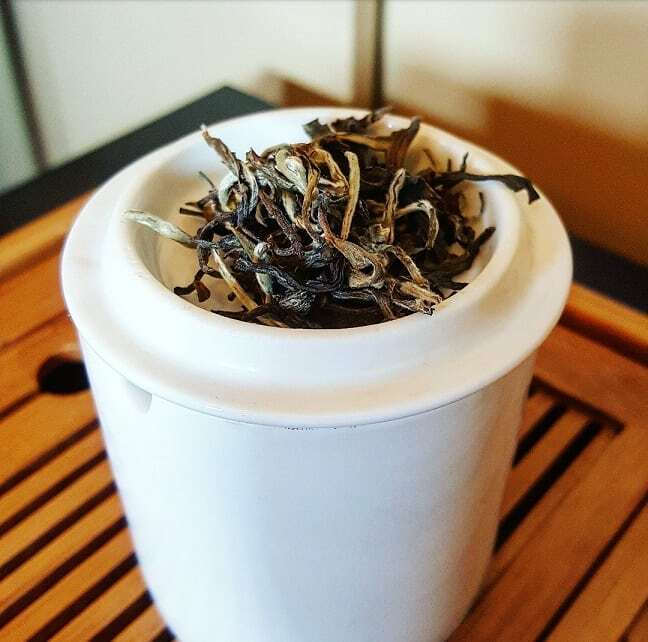 It was still very much a first flush Darjeeling, but there was an earthier bend to the flavor. Peter later confirmed it and the custom lot were both from Gopaldhara, and advised that they be brewed side-by-side. 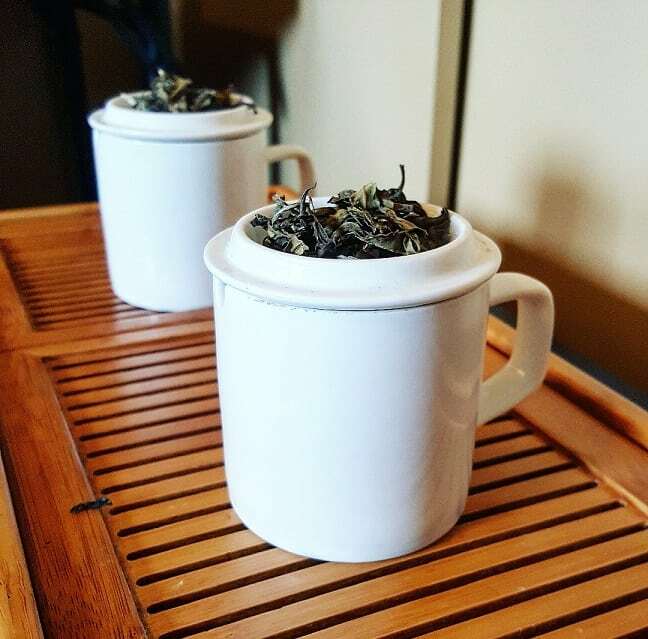 The custom consisted entirely of AV2 clonal leaf material—a complete contrast to the “old bush” Darjeeling. Plus, the newer cultivar was known for its punchier aromatics. The plucking standard for both, as well as the processing, also differed. On the 4th of July, I dipped into both. The leaves for this first flush looked about as spring-like as one would expect. All the usual first flush bells and whistles were on display—green leaves, brown leaves, beige buds—and a fragrance that alternated between rose-hips, heather, olives, and other flowery epithets. The smell was a bit more muted than some other first flushes I whiffed this year. However, it still brought a smile to my face. The liquor brewed up to a delightful—if light—amber; more yellow-orange than full-on agate. Steam from the cup carried a scent of chewy muscatel rind, newly sprouted hops, and wilderness breeze. On first sip, sweetness greeted my tongue like a winking ingénue, followed by a . . . I hate to say it, but a bouquet of floral and spicy notes. (Sorry, I just hate using the word “bouquet” in my taster notes, but it fits here!) This was a first flush, through and through, with all the wonderful trappings that 2018’s blessed weather had to offer. The old bush leaves were another matter entirely. Appearance-wise, they looked to have been hand-rolled instead of machine-sorted. 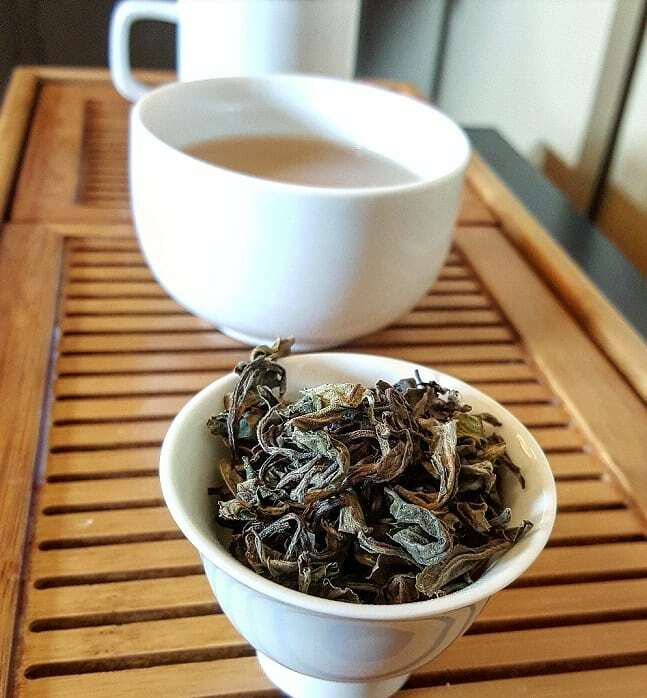 Their color scheme was very indicative of first flush Darjeeling, but they “looked” more experienced. I’ve run into hand-rolled first flushes before, but this resembled none of them. The aroma was also markedly different, giving off a whole load of spice without the floral lean. The scent made me think of a masala chai brewed in an earthen clay pot, and inhaling the interior’s odor post-brew. In contrast to the custom lot, this brewed up a far darker amber—like, “fly-encased-in” amber. No apparent aroma wafted from the cup, save for a hint of earthiness. But that hint already prepared me for what promised to be a far different brew. 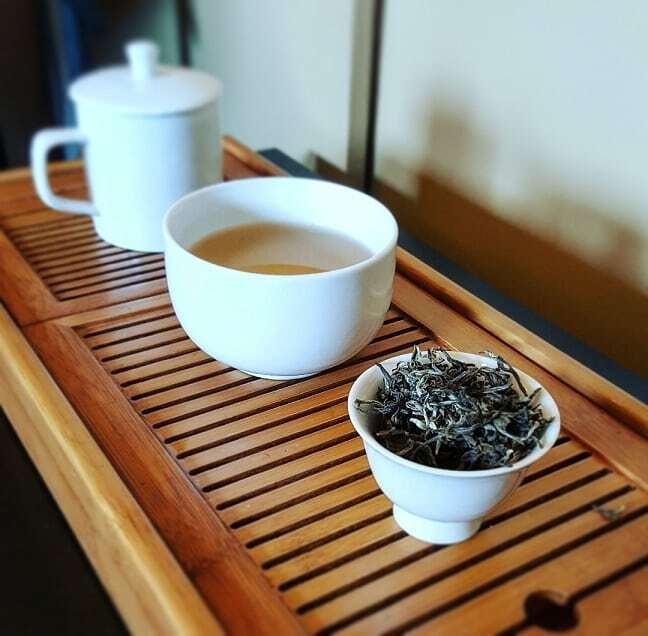 From the word “taste”, everything I knew about Darjeeling turned on its head. Instead of requisite sweetness, my tongue was saddled with stone fruits of unknown origin. In place of flowers, the top note imparted earth, sage, and lemon. Instead of a spring-like finish, or a tannic tickle on the end, this concluded the taste with smooth (if ancient) epilogue. I honestly couldn’t decide. Both had strengths in completely different ways. The custom lot first flush was aromatic, floral, spicy, but also smooth and vibrant. The “old bush” had many similar notes only . . . well . . . older-seeming, dug in . . . cemented in earth, etched from the terroir, and other manly notes. There’s a rule o’ thumb with Indian teas, and it pertains to the “flavor life” of a tea bush—particularly in Darjeeling. The average tea tree, grown from cuttings—i.e. a clone—has a yield life of about twenty or thirty years. Trees grown from seed can sustain for much longer. 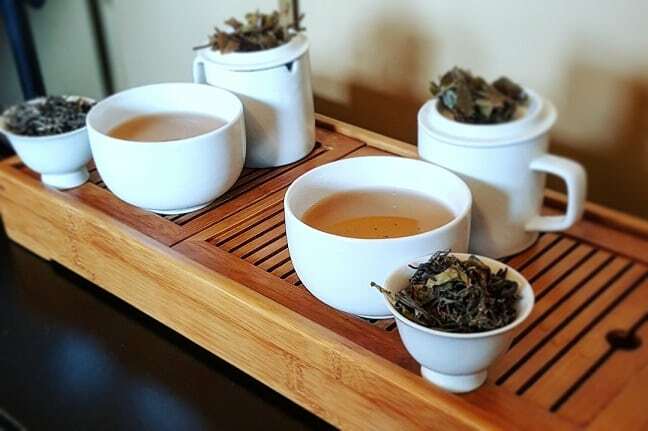 Save for the leaves seeming more mature on the palate, I detected no flavor loss in the tea made from older trees. That could mean that most of them indeed were seed propagated, or a fair amount of credit could be given to the processing. Whatever the case, it still held up. Like a man from Boulder on a cross-country hike. For more information on Gopaldhara, go HERE. To contact Trident Booksellers and Café about their tea menu, go HERE. I always enjoy your posts and these two teas sound very appealing and delicious. Now being on a roll with Darjeelings I am wishing I had some. You have quite a net of people relating to surprising teas. I am always amazed when I read your posts.